Ontario firefighters risk their lives to extinguish a burning building in the City. The City of Ontario seeks to mitigate the hazards to life, property and economic viability caused by everyday events and major disasters through the provision of fire, rescue, emergency medical and specialty emergency response services. In Ontario, fires normally originate within a single structure, such as a commercial or residential building. Given the amount of industry and commerce in Ontario, commercial fires account for nearly 80% of total annual damage loss. Residential fire threat, on the other hand, results in more death or injury than commercial fires. Residential fire threats are a particular cause for concern as more than one-half of all Ontario’s residential structures were built before 1970, prior to codes that required use of fire resistant building materials. In addition, the City is subject to fire risks associated with earthquakes. Due to the local topography and nearby Cajon Pass, Santa Ana Winds by far pose the greatest fire hazard to the City. The undeveloped areas of the New Model Colony which have similar characteristics to an urban-wildland interface, have experienced severe fires under high wind conditions. Moreover, the Santa Ana winds pose a continual fire conflagration hazard to any dense area of the City, with an increased risk to older portions of Ontario. Ontario’s commercial and industrial facilities increase the possibility of fires involving hazardous materials, which could affect nearby residential areas. Ontario is also surrounded and bisected by major transportation networks and pipeline transfer systems which add further risk. 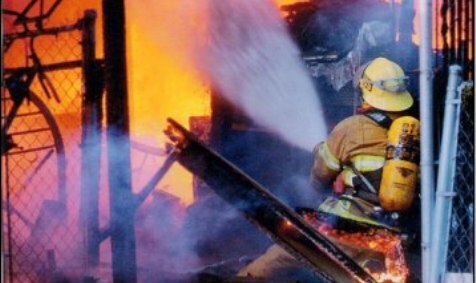 Reduced risk of death, injury, property damage and economic loss due to fires, accidents and normal everyday occurrences through prompt and capable emergency response. Prevention Services. We proactively mitigate or reduce the negative effects of fire, hazardous materials release, and structural collapse by implementing the adopted Fire Code. Community Outreach. We provide education to local schools and community groups to promote personal and public safety. Fire and Emergency Medical Services. We maintain sufficient fire stations, equipment and staffing to respond effectively to emergencies. Special Team Services. We maintain effective special rescue services. Emergency Communication Services. We maintain a 9-1-1 emergency communication and dispatch center. Interagency Cooperation. In order to back up and supplement our capabilities to respond to emergencies, we participate in the California Fire Rescue and Mutual Aid Plan. Water Supply and System Redundancy. We monitor our water system to manage firefighting water supplies. Resource Allocation. We analyze fire data to evaluate the effectiveness of our fire prevention and reduction strategies and allocate resources accordingly.